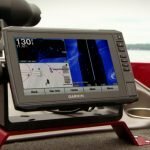 Over the last few years, Side Imaging has become more and more prevalent on bass boats. 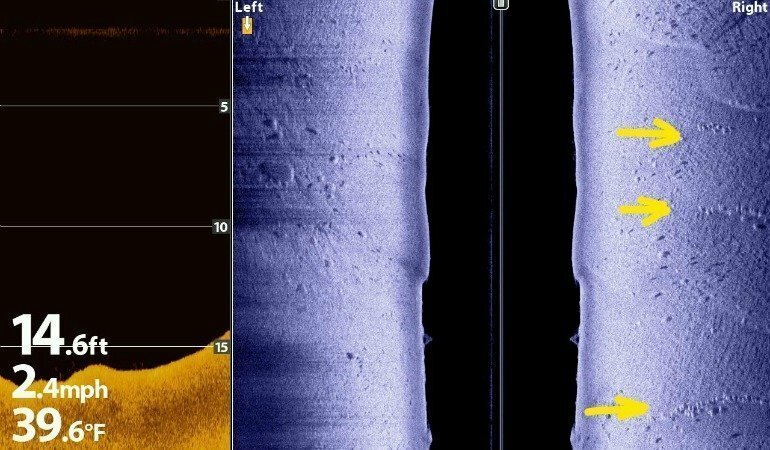 What many new purchasers of side scanning sonar units do not anticipate, is that (for several reasons) side imaging transducers do not read depth at running speeds very well and they will need to have an additional shoot thru hull 2D transducer to get depth readings while on plane. Even though the mapping chips are excellent these days, having a real time 2D depth reading while running is important. 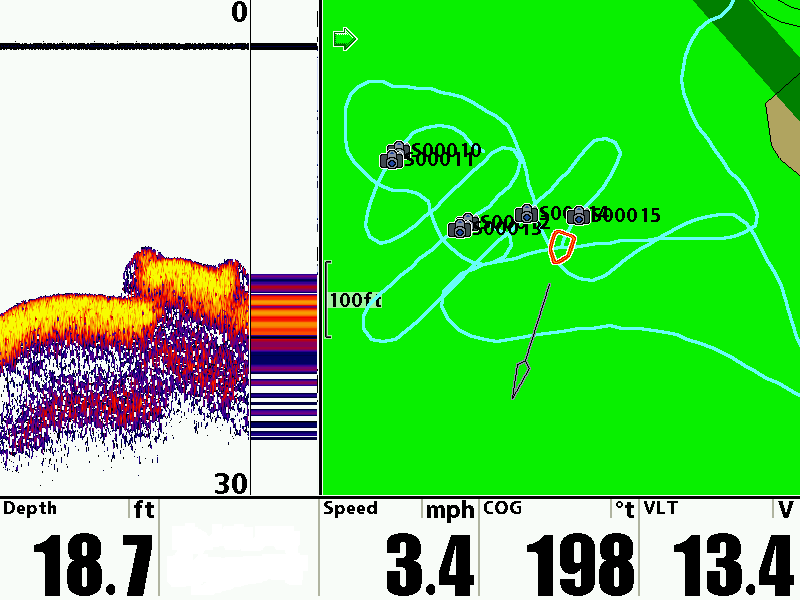 You really don’t want to be surprised by a sudden change in depth while underway at high speed. The problem is, installing a shoot thru hull transducer in an existing boat can a painful task. 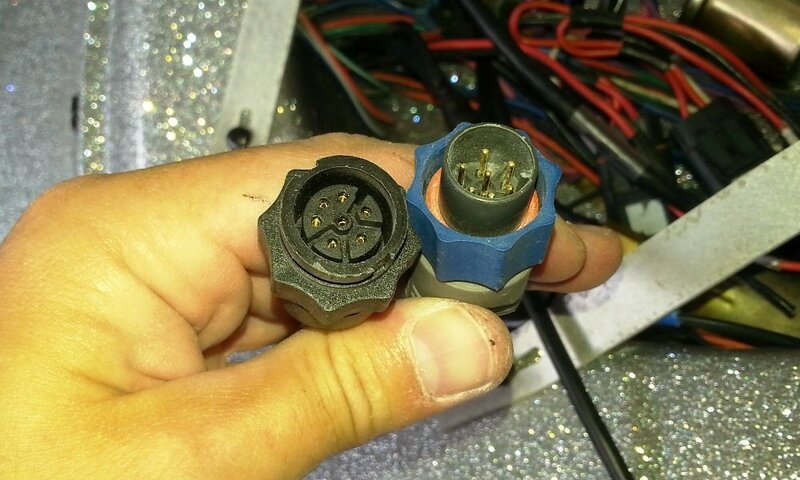 First you have to fish the extra cable and connector to the dash, and then you have to epoxy the transducer onto the surface of the bilge area. Many times this will require you to pull the batteries, oil tank, and more, just to be able to reach the fiberglass. Then you have to get your head down in the bilge area to sand a smooth mounting area to epoxy the new transducer to the hull. 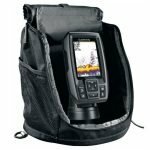 When I recently bought my 2011 Triton, it was already rigged with a Lowrance HDS7. 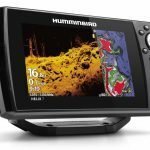 I run Humminbird fish finders, and if it was at all possible, I wanted to take advantage of the already in place Lowrance shoot through hull transducer. Even if I had to splice cables together, I would have, but luckily I found an adapter cable that makes the conversion for you. That cable is the Motorguide Tour Series Sonar Adapter, part number 8M4001962. I picked it up on Amazon for under $35. 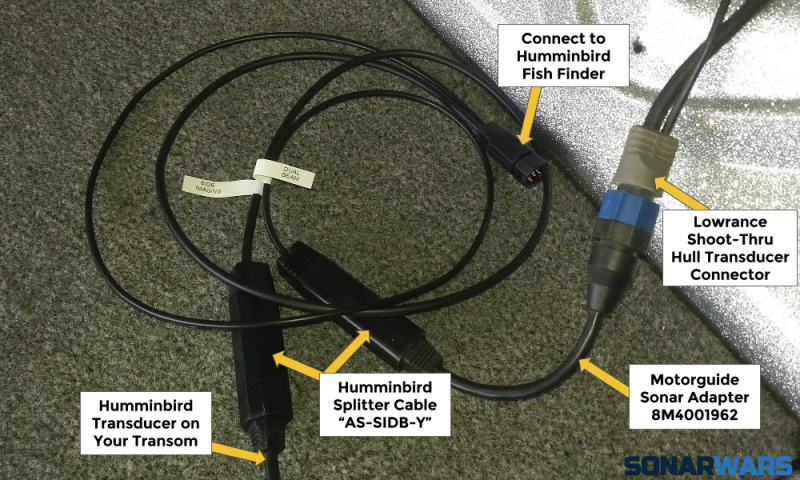 This cable is intended for use with a Humminbird fish finder and Motorguide trolling motor with an integrated transducer, but as you will see it works as an adapter cable for a Lowrance transducer as well. 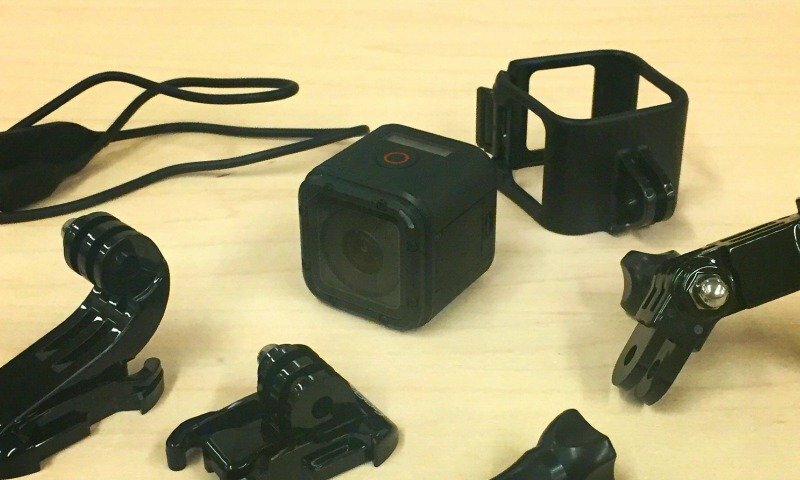 The photo of the adapter cable is incorrect on every website I’ve seen it listed. 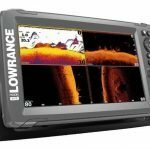 I took a chance, hoping that it would be a female Lowrance connector, and it turned out it is! 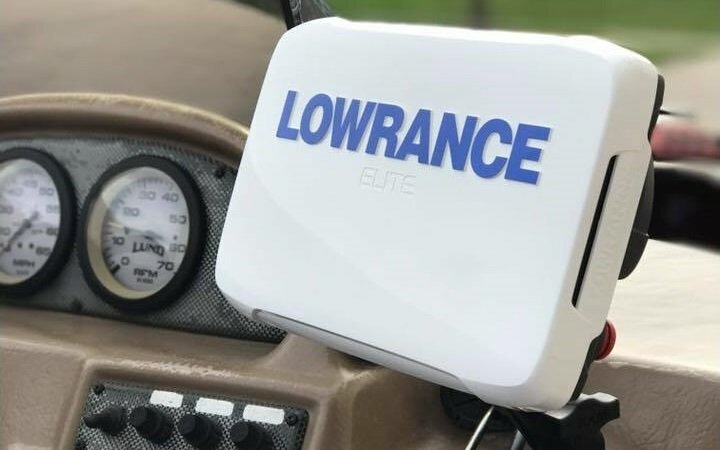 This allowed me to plug the blue Lowrance connector directly into the adapter, and then into the AS-SIDB-Y cable to get both 200 kHz thru hull readings at higher speed, and Humminbird Side Imaging at lower speeds. Truly the best possible scenario. 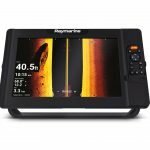 One thing to note is that Lowrance shoot thru transducers typically operate at 200/50 kHz, while Humminbird runs at 200/83 kHz. Having both frequencies functioning was not important enough to me to warrant installing a new transducer. Here is an underwater bridge I idled over, and you can see there is good detail of the sides and deck of the bridge. So do you have to change settings on the head unit? 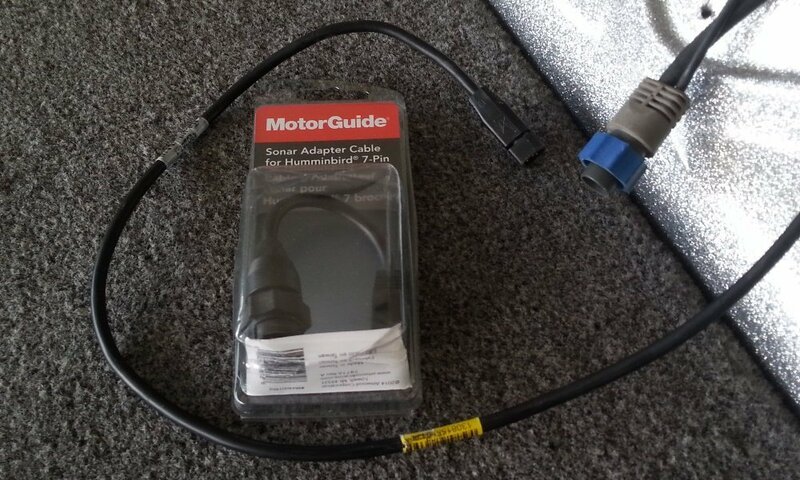 I’m running a 1199C HDSI and bought the y cable and motorguide cable. 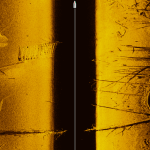 Installed them correctly but no 2D sonar information is displayed. Do I have to change some settings and if so to what? Set the 2D frequency to 200kHz only. That should be all you have to do. Still works on Helix G2N. 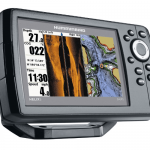 I have a Lowrance fish finder on my pontoon getting helix all season will lowrance transducer work with an adapter? It probably would work, but I would strongly recommend installing the transducer that comes with the HELIX.